“Maxine has now been repatriated in a challenging flight through, Florida, Boston, Canada and Iceland, during which the ambulance plane repeatedly ran short of oxygen, and had difficulties landing because of snow in Canada. “She was admitted to Sandwell DGH intensive care unit. Experienced nurses commented that her extensive pressure sores, literally from head to toe, were ‘the worst seen in 24 years’ nursing.’ “They are so deep – including a huge, open sore on her back, her heels and finger tips are black – that they are classed as ‘ungradeable.’ She came back to the UK with influenza type A, pneumonia, and sepsis. “Sandwell Hospital staff ITU have been absolutely wonderful, treating sores on both heels, leg, bottom, even fingers where probes were inserted, around her mouth, up her nose where feed tubes were inserted, and even by her eyes as she was left in a coma without being adequately cared for. “Meanwhile Cancun staff argued about the bill, rising £11,500 a DAY. “The holiday rep at her hotel, the Grand Sirenis, would not provide a translator to help us obtain appropriate hospital care. It took AXA TEN DAYS to respond. We had placed our trust in them. She could have been flown home to Sandwell earlier, but their delays left her left her with her kidneys collapsing. “She had to have dialysis. The Mexican staff seemed to regard mum as a ‘Golden Egg’ to bring them money. There was hardly a part of her body that was not damaged. “When AXA finally called , they said: ‘How is your mum?’ They had not checked with the hospital, and didn’t know that she had had to have a tracheotomy. Yet she was in a critical state, and there was a serious chance she could die. “Now she has since unexpectedly suffered a further setback, with her compromised immune system, and is fighting a new infection in Sandwell Hospital. 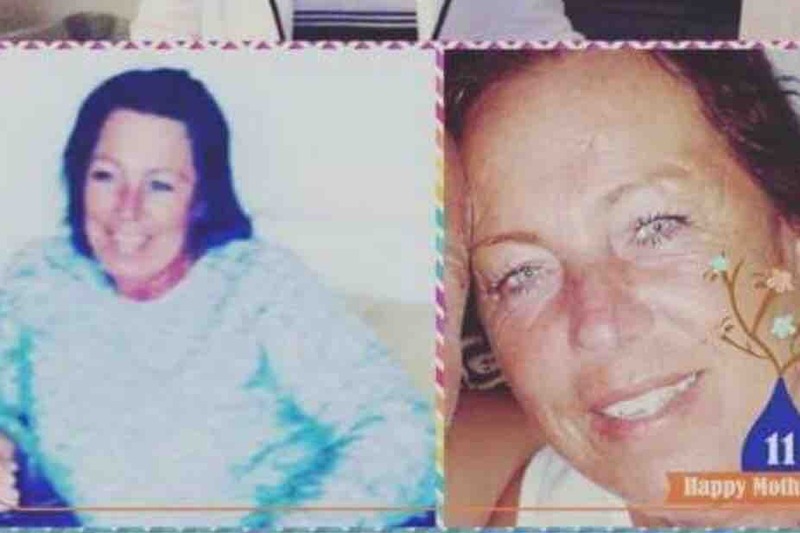 Her family would very much appreciate all your prayers for her, as UK nurses and doctors heroically work to correct what the family clearly see as the appalling neglect she suffered during her stay in Cancun.” Her daughters, who had waved her ‘kind and caring’ mum off to Mexico thinking she would enjoy a holiday of a lifetime, said: “She was left in a filthy hospital in Cancun where she felt unsafe, to then find herself in a hospital sent to by the insurance for 10 days while Axa prevaricated about her medical bill. “Dogs wandered around the wards, where the equipment was rusting, in the first hospital she was sent to. uncaring staff left her with countless full skin depth pressure sores, even on her eyes, nose and mouth. She was on a ventilator, and had to have a tracheotomy. “Only by a miracle has she escaped gangrene. We nearly lost her. At her bedside, we grew to dread repeated text demands for money from the hospital. It was a waking nightmare to see my mother fighting for her life with no-one to care. “ Axa’s help was nowhere to be seen, for 10 days, while they slipped their way through her records to find any reason to back out of her growing medical bill, now quoted as almost double our target. “As a family, we are on our knees. But we still have hope, as everyone in the Sandwell General Hospital and the wider community of sports clubs and families across the West Midlands is getting behind us, they are so outraged at Axa’s treatment of a sick woman. “We are now in contact with a number of other families who have suffered similar experience due to Axa’s cold and heartless manner. “People as far away as South Wales , whose relatives have died in similar circumstances, are now joining us in a full-depth campaign across all media, aimed at addressing these unprecedented levels of neglect . “This will ensure that either Axa’s Heads of Operations, who have currently even now failed to return our calls, get a grip on their service before there is another death: or that we call in the Government to intervene to augment the legal action that we are planning, in a campaign to bring this nightmare to Axa’s doorstep. “They must wake up. And stop this Living Nightmare now. No other family may suffer like this. Because Mum, who is vulnerable because of her bipolar condition, made a simple mistake in filling in a form, this family is being penalised beyond all reason, by a company whose only goal appears to be profit at all costs. “Axa’s suggestion that they pay around ten per cent of the bill, leaving us to foot the rest, must be reversed. Even with hundreds of wonderful people helping – many who do not know mum, but are touched by her distress – we are struggling to reach even ten per cent of the bill. ” The family – forced to ‘max out’ their credit cards to enable Maxine’s care to even begin - has lodged a complaint against AXA to the Insurance Ombudsman, particularly with reference to their being ‘blackmailed’ into signing a disclaimer before care was given. They said that they were told that their mother would be left in Mexico if they did not sign. Aneke, added: “They had a noose around our necks. It was inhuman. The state that mum was left in, after AXA neglected our calls for help for 10 days, was so bad that if she were a dog, she would have been put down.” Footnote: Meanwhile, another family in South Wales, lost their father, in a similar dispute over effective treatment delay with insurance giant AXA. After a similar stay at the same hotel, the Grand Sirenis, his son said his father had died of a breathing illness contracted in Cancun, in startlingly similar circumstances. He said: “We are behind Maxine’s family all the way. We have similar experience with AXA. As well as my father, we have learned of other people who passed away out there because of their service. It is all in the same place, and the same hospital. We have taken legal action, as we are determined that this shouldn’t happen to others.” The man’s widow, whose solicitors are fighting AXA and have asked not to be named pending a hearing for compensation from the insurance giant, said: “Had they flown him home promptly, we were told he would have had a 98 per cent chance of survival. He should still be here today. He worked all his life, never claimed anything. He was never sick. But having walked into the Cancun clinic, he was carried out embalmed, without even having a cause of death beyond a vague ‘respiratory.’ I am very, very angry – and so are others.” AXA were asked to respond, but failed to reply. I'm Aneke Pye from Wednesbury the daughter of maxine Howell The money will be used towards the medical bill.